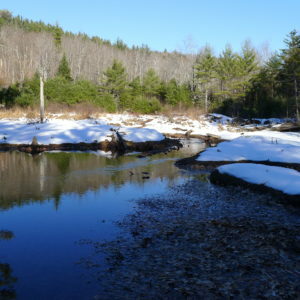 Smith’s Brook is the largest tributary feeding into Big Squam Lake. Its conservation value cannot be overestimated, with native brook trout, salmon fry, and extensive wetlands. In 1964, Edward and Marion Stanley bought a 20-acre parcel bisected by Smith’s Brook and built a small rustic cabin. Located on the south side of Route 113 with a small bridge spanning the perennial stream, this land served as a mecca for a quiet and special get-away for them and their three children for many years. With the goal of protecting Smith’s Brook with its wetlands, and a quarter mile on scenic Route 113, the Squam Lakes Conservation Society (SLCS) is looking to purchase the 20-acre Stanley Preserve property at a price consistent with an appraisal for $75,000. The property is near the Allen Preserve, Eastman Brook Preserve, Armstrong Natural Area, Smith’s Brook Conservation Area, and across from Burleigh’s Squam Range conservation area. We are very pleased to announce that Anne Richards and John Coolidge have donated a Conservation Easement permanently protecting 75 acres of their farm on the east and west sides of Hicks Hill Road in Ashland. This critical field, forest and wetland area shares common boundary with our Whitten Woods and Pedersen Conservation Areas. It increases a total contiguous protected area to nearly 1000 acres, supports wildlife, including wide ranging species, and facilitates large-scale ecological processes! 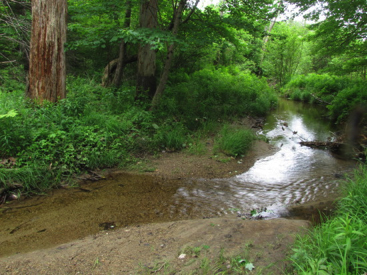 In addition to exceptional habitat for a wide range of forest and field birds and mammals, the Richards-Coolidge easement conserves over one mile of clear-running steams with eastern brook trout, blacknose dace, and a host of aquatic macro-invertebrates. Protection of these streams is essential to the downstream health of Owl Brook, a major tributary of the Squam River. Ann and John have long been supporters of conservation in the Squam watershed, and have turned this support into direct action by this superb gift. 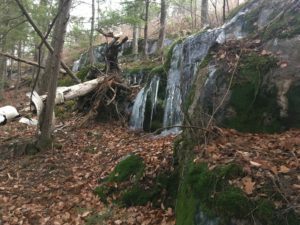 The Squam Lakes Conservation Society has purchased a key 90-acre parcel known as the Eastman Brook Preserve in Sandwich, NH. Comprised of two parcels (86 & 4acres) with a half-mile of road frontage on scenic Route 113, this acquisition bridges two existing conservation areas, Doublehead Preserve on Thompson road with Allen Preserve on Route 113, protects the ridgeline from development, and safeguards Eastman Brook, an important tributary at the head of Squam Cove. It also serves as encouragement for the conservation of other nearby lands. Leo Dwyer and his wife Kathryn Field, agreed to a bargain-sale of this property. Funding for this project came from the Squam Uplands Initiative, a matching grant from a major donor, contributions from the Squam Lakes Association and Rockywold Deephaven Camps, and donations from thirty-eight generous donors. 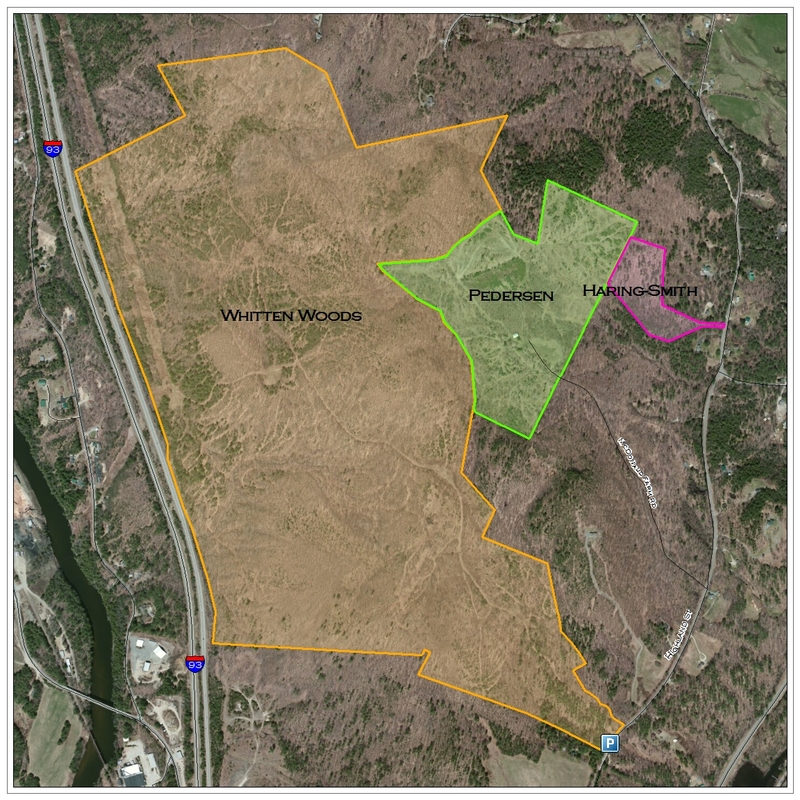 The 78 acre Pedersen tract in Ashland, also known as the MacDonald Farm, shares a common boundary with Whitten Woods. It now also shares a similar conservation stratedy. In partnership with the New England Forestry Foundation, who holds the fee title while we hold the conservation easement, the land was purchased on March 7, 2017 from Cecilia Pedersen, owner of the property since 1989. the only remaining building from its days as an active hillside farm was the barn, which was not salvageable, so it was removed. 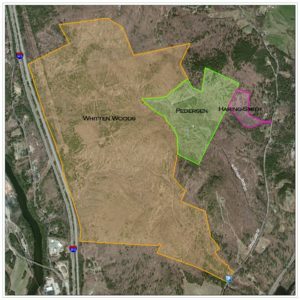 While the forest will take time and effort before it is once again healthy and productive, this property provides additional access to the Whitten Woods parcel while adding to the block of managed habitat that is approaching a thousand acres. This project was another of the now completed Squam Uplands projects. 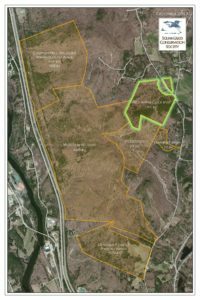 In December 2016, SLCS member and friend Robert Haring-Smith donated a conservation easement permanently protecting all of his 12 acre forested lot located off Owl Brook. This tract connects Highland Street in Ashland to the Pedersen Property uphill. We have been giving special emphasis to lots which connect with other protected lands in order to achieve wildlife and water quality connectivity on a larger scale. 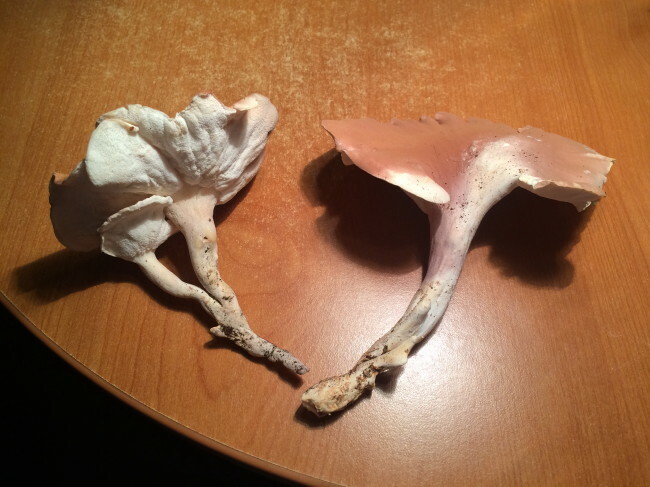 Among other features, our ecological investigations established that the Haring-Smith and Pedersen properties contains hardwood habitat supporting Pseudofistulina radicata, a very rare and unusual mushroom species, which is now one of twelve recorded locations in North America. 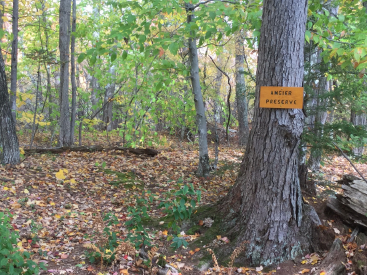 Many thanks to Burleigh Land Limited Partnership for the contribution of a conservation easement protecting 47 acres on Owl Brook, adjacent to Perch Pond Road in Holderness. This donation complements abutting forest land previously conserved by Burleigh. With 2,600 feet of frontage on pristine Owl Brook, a clear running cold water trout stream flowing from Mt. Prospect, this is indeed an important step in land and water conservation of the northern slope of Squam. Among other features, the Burleigh-Owl Brook Conservation Area contains a significant vernal pool wetland, and supports a wide variety of wildlife. Bird species identified include the regionally uncommon w i l l o w flycatcher, the declining Canada warbler, and the rose-breasted grosbeak, a species alarmingly absent from the 2016 spring breeding bird census. The valuable wetland floodplain filters road and development runoff, and provides stream access for animals moving from the upslope areas of the protected Burleigh working forest. The conservation easement terms allow forestry activities consistent with a forest management plan, and will be managed sustainably by a professional forester in conjunction with the other Burleigh lands.